Prominent & Leading Manufacturer from New Delhi, we offer gsm voice. World Smallest Wireless GSM Sim Card or Spy Mini Ear Bug Listening Device Sound. 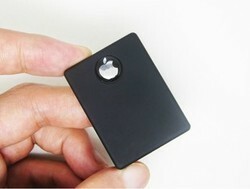 This device allow you to spy anyone in any place.You only need to buy a new SIM card, place it in this device. Once you call this number, this device will auto answer, and it is working like a phone with auto answer without speaker. So you can actually hear anyone's talking about you or whatever when you call in that sim card's phone. Slim design, place it at home or even in the office. You could listen to the sound of its surrounding wherever you want, it is the latest SIM surveillance equipment available. Please do not use it to engage any illegal activity.